In November 1943 the Jews of Siena were warned of the impending German incursion. The person who organized the rescue of the threatened Jews was Monsignor Don Luigi Rosadini of the Vignano church, where he sheltered the persecuted. He also managed to get other persecuted people to hide in the residence of the Adami-Cardino Catholic family. Both the church and the residence were declared Houses of Life. 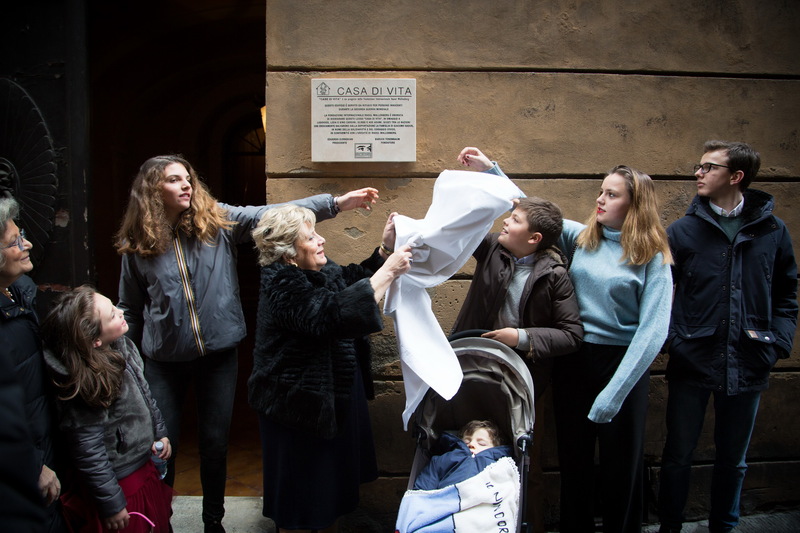 On 6 May 2018 the initial event was held in the 13th century building of the Palazzo Publico in the Piazza del Campo area of Siena, Italy. The hall was packed and there was standing room only by the time the meeting began at about 11.15. 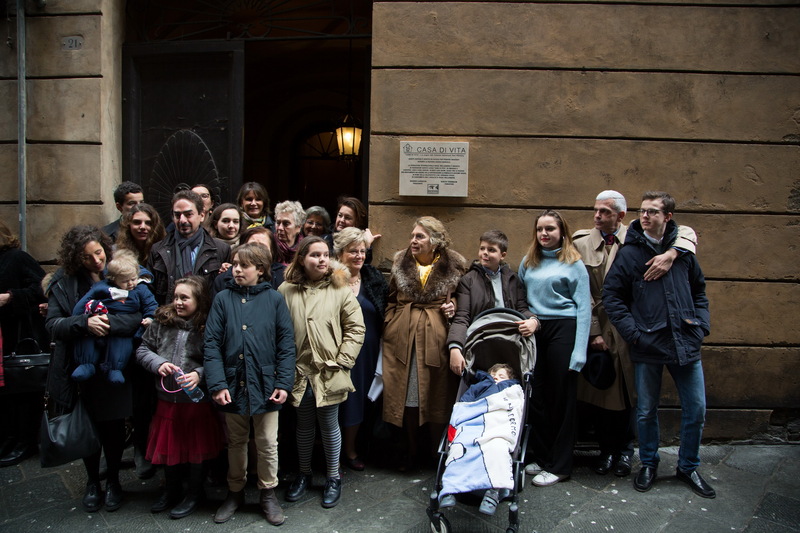 Representatives of the Jewish community of Rome, Florence and Siena attended the ceremony, as well as a large number of the extended Sadun and Cardini/Adami families. Piero Alessandro Cardini, a relative of one of the rescued families, conducted the ceremony. Ms. Jill Blonsky represented the Raoul Wallenberg Foundation, the driving force behind the educational program “Houses of Life”. There were six speakers. 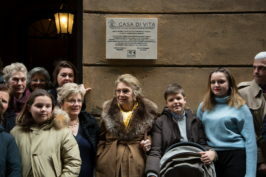 Among them, the Archbishop of Siena, Antonio Buoncristiani the Rabbi of Siena, Crescenzo Piatelli; Mr. Corsini, Annalisa Sadun, a member of the rescued Sadun family, and Ms. Blonsky who travel specially from London where she lives. Each speaker thanked the Raoul Wallenberg Foundation, an NGO chaired by Eduardo Eurnekian and created by Baruch Tenembaum. 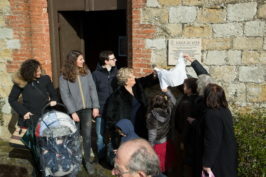 When Mr. Corsini showed the commemorative plaque there was warm and enthusiastic applause. 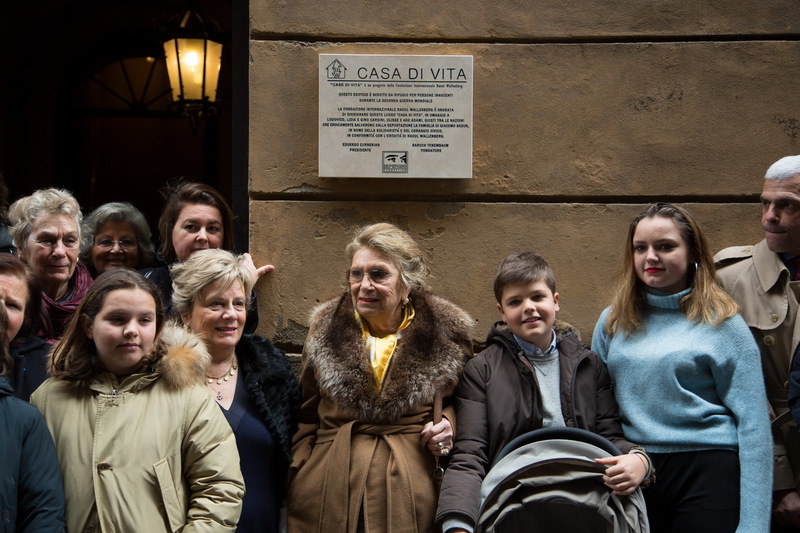 The meeting continued for about one hour and the audience dispersed for a visit to the first plaque unveiling – the Cardini-Adami family home in San Pietro street. This is located about 10 minutes from the Piazza del Campo up a very steep flight of steps and along a narrow side street, all part of the beautiful old town. 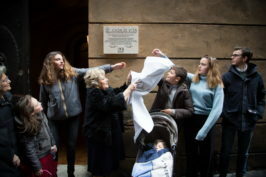 Here the unveiling took place by Annalisa Sadun, who was the youngest member of the rescued family. 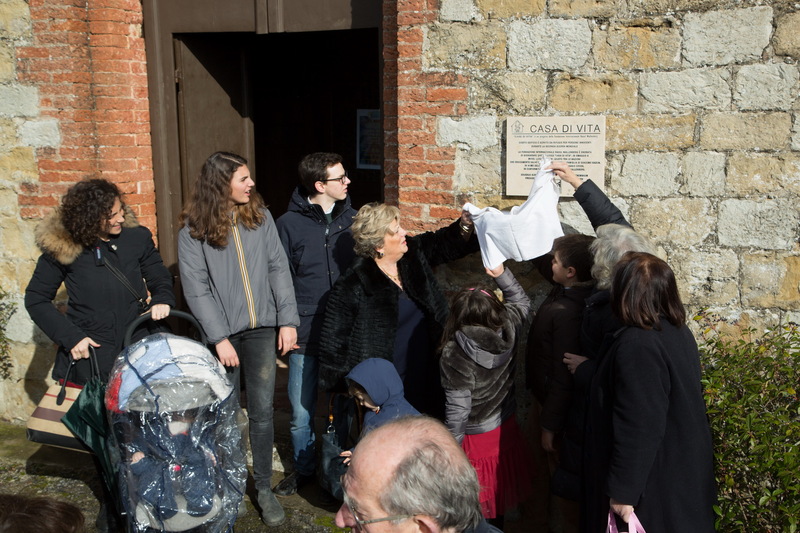 At 3.30 the crowd moved to St Agnes, the parish church of Don Luigi Rosedini who began the initial rescue of the Sadun family. 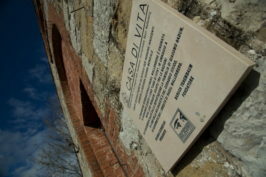 The church lies some five kilometres from Siena. Here the second unveiling was also conducted by Annelisa Sadun. A Mass followed suit. 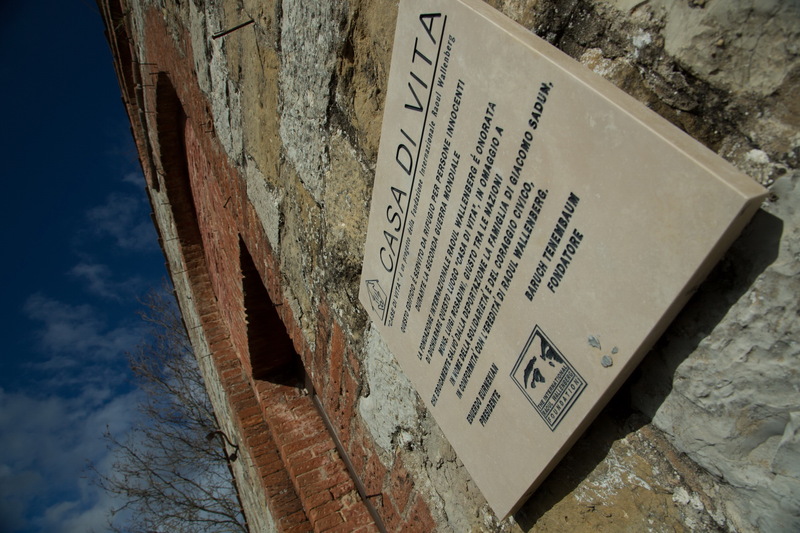 Afterward the audience went to the cemetery nearby where Don Luigi and the Cardini-Adami family are buried. Here respects were paid to these heroes of the Holocaust.